I am an educator, a traveler and a mother. My favorite messy sensory play is oobleck, painting, and I also like to create new messy sensory activities. I enjoy developing early childhood education curricula and love talking to caregivers in PlaySpace. I hold a BA in Psychology and an M.S. in Child Life and Family Centered Care. Hope to see you soon at PlaySpace! Wheelock College Student Observations: Follow Me! 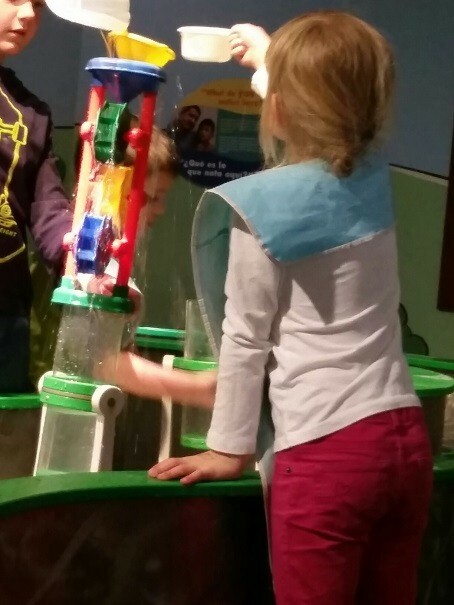 This post is the last in our series of articles by Wheelock College students documenting their observations of the many different kinds of learning and adult-child interactions taking place at Boston Children’s Museum every day. This post was written by Wheelock Student Researchers Meghan McWeeney, Katherine Finegan, Emma Petner and Paige Dillon. 1) What does the interaction between children and caregivers look like? 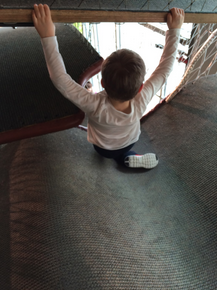 2) How do children find their way to the top and back down The Climber? In order to get a closer look at how children moved up and down The Climber, we sent one of our researchers, Emma, to gain a better understanding of how Josh, age 5 made his way through. 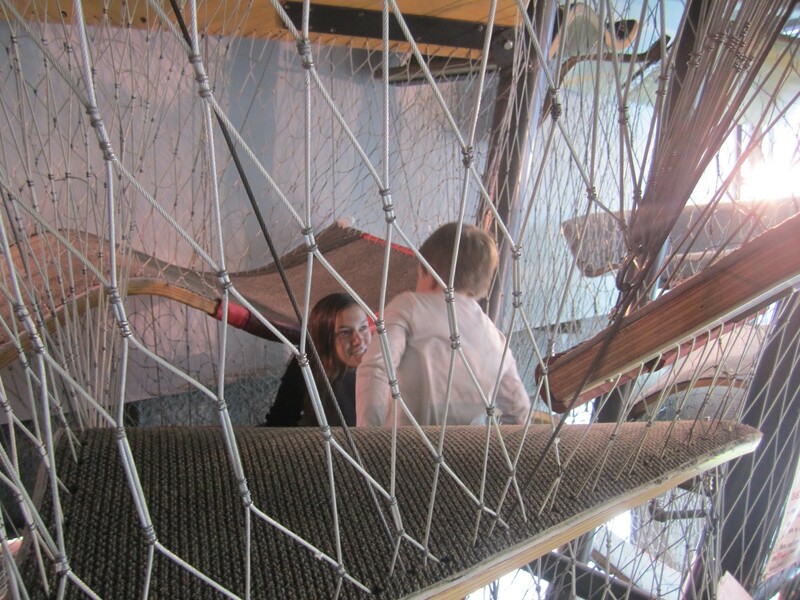 This post is part of our series of articles by Wheelock College students documenting their observations of the many different kinds of learning and adult-child interactions taking place at Boston Children’s Museum every day. This post was written by Wheelock Student Researchers Samantha Marrocchio, Tatiana Medina-Barreto, Gaby Boivin and Mallory Johnson. How do children in different stages of development use modeling as a technique when playing? How do boys and girls play differently when playing? How does parent/adult involvement affect children’s play? 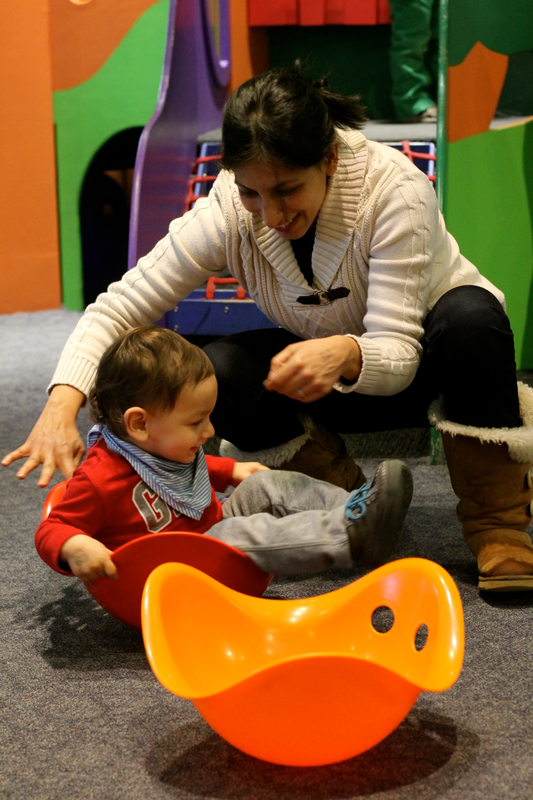 This post is part of our series of articles by Wheelock College students documenting their observations of the many different kinds of learning and adult-child interactions taking place at Boston Children’s Museum every day. This post was written by Wheelock Student Researchers Ashley Domaldo, Amanda Kalander, Braelan Martin, and Katlyn-Rose D’Errico. How do caregivers and children interact in the space? How do children play with other children? 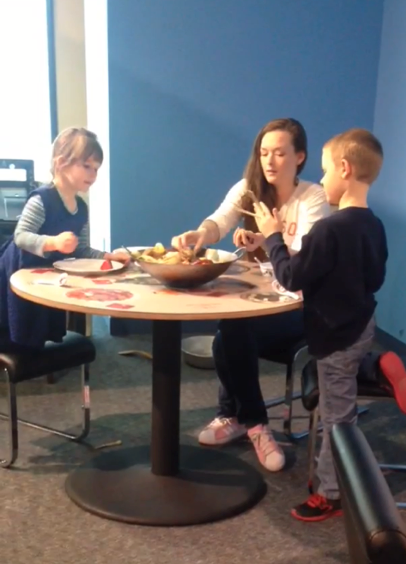 This post is part of our series of articles by Wheelock College students documenting their observations of the many different kinds of learning and adult-child interactions taking place at Boston Children’s Museum every day. This post was written by Wheelock Student Researchers Priyanka Deb, Julia Kelsey, Shannon Hennessy, and Liz Randall. What is the difference between the first time visitor and the frequent visitor? Some children play randomly with the balls and tracks. Some children plan their play. What is the difference and how do they play differently? 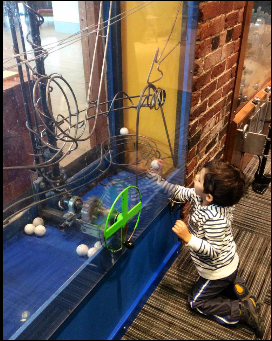 This post is part of our series of articles by Wheelock College students documenting their observations of the many different kinds of learning and adult-child interactions taking place at Boston Children’s Museum every day. This post was written by students Kaitlyn Talbot, Nico Cantu, Becca House, Azeema Shaikh and Emily Lewis. What role does the adult take? How do children and adults interact in Children of Hangzhou as compared to Arthur’s World? With such rich content, what do children do in Children of Hangzhou? 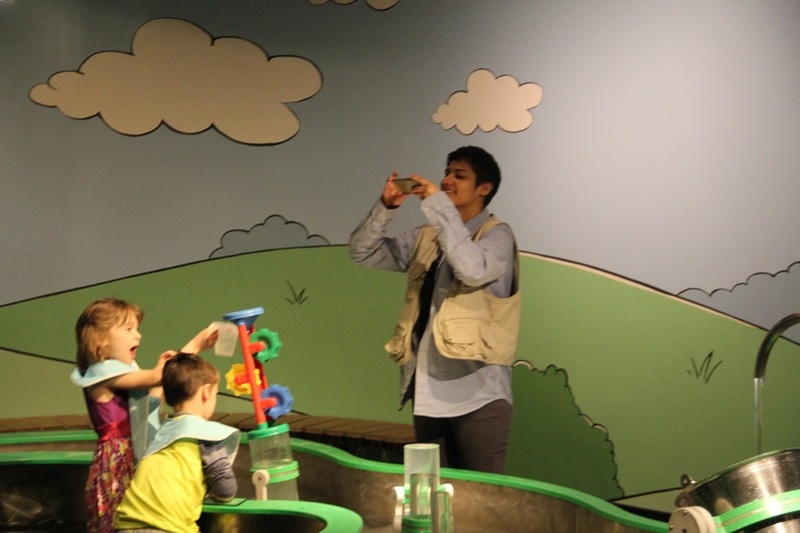 In spring 2015, Stephanie Cox Suarez and Erica Licea-Kane led 20 Wheelock College undergraduate students to Boston Children’s Museum as part of a capstone course called “Making Learning Visible”. 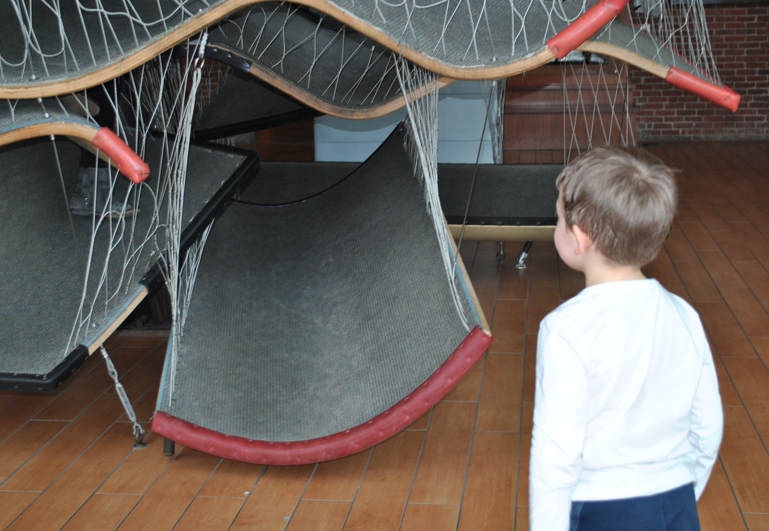 This course focused on documentation and visual arts for teaching, and students visited the Museum five times to document children’s play and learning. 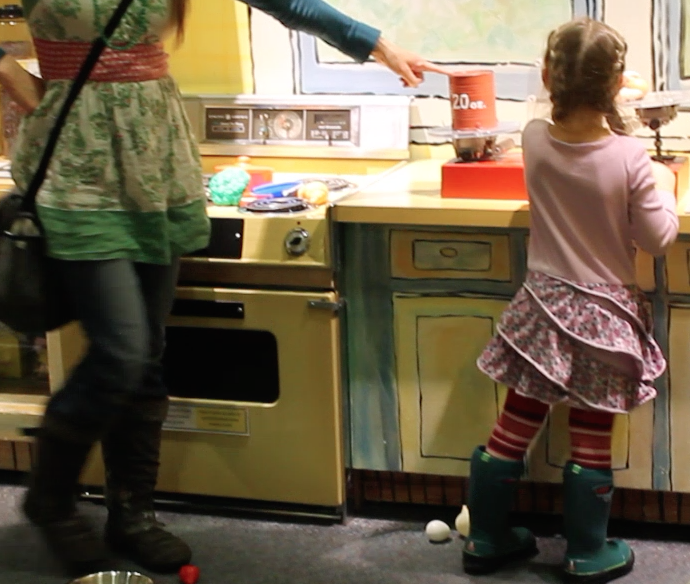 This is the first collaboration of its kind with this Wheelock College capstone course, and it has inspired us to continue to research children’s play and learning at the Museum.